What was it like to rescue Indian hostages from Taliban-controlled Afghanistan almost 20 years ago? Retired R&AW officer Anand Arni takes us behind the scenes of the hijacking of Indian Airlines Flight IC814 in 1999. 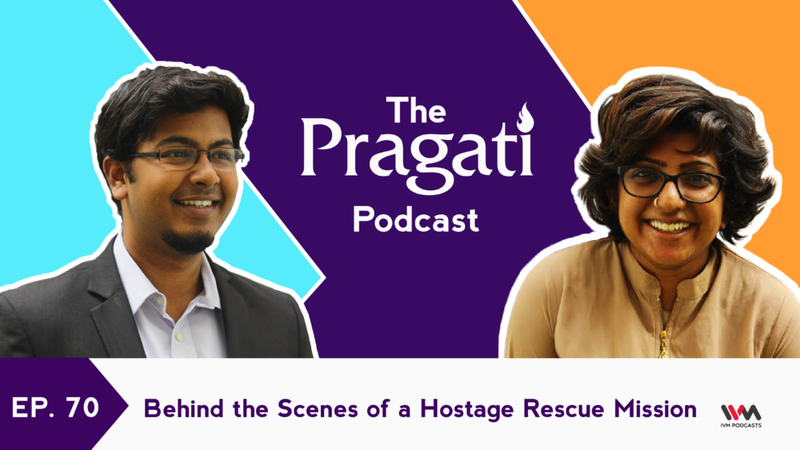 Anand Arni joins Pranay Kotasthane and host Pavan Srinath on Episode 70 of The Pragati Podcast. Mr Arni is a Distinguished Fellow and Advisor at the Takshashila Institution, and retired as the Special Secretary in the Cabinet Secretariat. He served for over 37 years in the Research and Analysis Wing (R&AW), India's external intelligence agency. He was a part of the hostage rescue team during the Flight IC814 hijacking crisis. In this episode, Anand Arni recounts his journey of being sent to Kandahar along with Ajit Doval, Vivek Katju, CD Sahay and Nehchal Sandhu. He shares absurd and hilarious things that happened, even as hostages were successfully rescued. Have any questions or comments? Write in to podcast@thinkpragati.com. If you are interested in public policy or international relations, check out courses by the Takshashila Institution at takshashila.org.in/education. Several courses are starting in January 2019.